How big a problem is it to be a bit overweight? We all want to be healthy and prefer to look our best and feel our best. We attempt to enjoy our day to day activities and our lifestyle generally but also attempt at the same time to protect our health and to keep our weight and fitness at healthy levels. Unfortunately the easiest answers are often not the best answers. The World Health Organization put out a fact sheet that says: "about 13% of the world’s adult population (11% of men and 15% of women) were obese in 2014". This in not saying that people are overweight but it is saying that they are Obese. That means they are carrying enough extra fat for this fat to potentially "lead to severe health impairments". 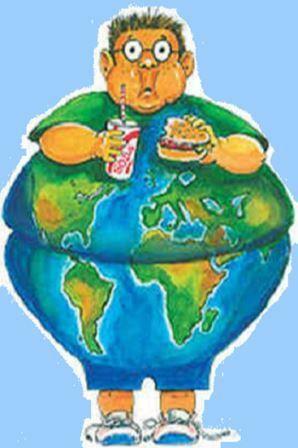 At the same time The World Obesity Organization says that in USA 33.3% of men and 35.8% of women are obese. Figures for countries like Canada, Mexico and Australia are showing more than 25% of the population are obese and many of the wealthier European countries and South American countries are not far behind. We are living more comfortable lives with more money and better conditions but the improved lifestyle may well be killing us. We Know we Have a Problem but What Can We do About Excess Weight? There are many, many solutions offering small amounts of quick weight loss, dropping 5 kilos quickly, that you will find when you see weight loss answers. The real secret is not in losing that weight; it is in losing it and then keeping it off! Beyond that is the need to adjust your lifestyle so that you can continue to lose weight and to improve your general health. Make better choices about what food you eat. Ensure you are getting adequate nutrition. "For things to change, You have to change. For things to be different, what You do has to be different." For most of us we eat more than we need to and often we eat the wrong things. For most of us we do not exercise enough. To get the outcomes we want we need to address that balance of calorific intake and the calories that we burn on a daily basis. We also need to get the balance right in the food choices we make. Another other problem that many people face is that living a modern lifestyle we have lost touch with our bodies and our whole metabolism may be out of balance. The first step for many people towards being healthy, having energy, and balancing weight to get into a health weight range. is to bring your body back into balance. With a quarter to half of the population living in many advanced economies seeking weight loss answers then it stands to reason that there must be a lot of people offering solutions. Across the pages of The Health Success Site we have lots of detailed information about weight management, health issues, alternate health therapies and more. You can find much of that information from the resource page: https://www.thehealthsuccesssite.com/Your-health-online.html. It has our A to Z listing of health issues and information about what the condition is and latest thinking on how to deal with it. There are also many pages on weight control for health and for sport fitness. A highly recommended resource can be found at our page on Nutrition For Your Cells as it gives the underlying information about how our metabolism wokrs, how our body ingests food and why it is so essential to get a proper nutrition balance in your diet. At The Health Success Site we have been involved with Personal Wellness Coaching based on supply of the highest quality nutrition products for weight loss. We work directly with people to guide them in using nutrition products to replace some existing meals in their diets with tasty and nutritious shakes and supplements. Previously we have listed details of what is available on the site. Now we have so much medical information and talk about alternate health cures we have created a problem for ourselves in that there is a risk of appearing to make health claims about using specific, commercially available, products. With world-wide availability of the products we recommend (over 100 countries) any related material need to be compliant with all health and business guidelines in all of those countries. For that reason we cannot list company details or even product names on this site and need to send that information out directly to people who are interested to know more. If you are looking for weight loss answers and would like information on herbal nutrition supplements for health and for weight control please fill in the form below and we will be happy to supply further information about available options directly to you. SITE DISCLAIMER: Do these products “cure” anything? 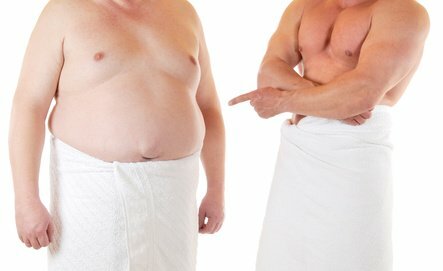 Of course not… but it stands to reason that if you cleanse your body and feed it the finest nutrition available, giving it everything it needs in balance, on a daily basis, that your body will do what nature intended, and give you the best possible chance to fend off sickness and disease. These Weight Loss Answers are not presented by a medical practitioner and is for educational and weight loss informational purposes only. The content of this weight loss answers page is not intended to be a substitute for professional medical advice, diagnosis, or treatment. Always seek the advice of your physician or other qualified health provider with any weight loss questions you may have regarding a medical condition. Never disregard professional medical advice or delay in seeking it because of something you have read. The Weight Loss Answers resources on this site are not intended to be a substitute for professional advice. While all attempts have been made to verify information provided in this publication, neither the author nor the publisher assumes any responsibility for errors, omissions or contrary interpretation of the web site weight loss subject matter herein. These details are solely the opinion of the authors and should not be considered as a form of advice, direction and/or recommendation of any kind. If expert advice or counseling is needed, services of a competent professional should be sought. The author and the Publisher assume no responsibility or liability and specifically disclaim any warranty, express or implied for any products or services mentioned, or any techniques or weight loss practices described. The purchaser or reader of this publication assumes responsibility for the use of these weight loss materials and information. Neither the author nor the Publisher assumes any responsibility or liability whatsoever on the behalf of any purchaser or reader of these weight loss answers materials. There is no guarantee of validity of accuracy. Any perceived slight of specific people or organizations is unintentional. This website and its creators are not responsible for the content of any sites linked to. Since natural and/or dietary supplements are not FDA approved they must be accompanied by a two-part disclaimer on the product label: that the statement has not been evaluated by FDA and that the product is not intended to "diagnose, treat, cure or prevent any disease."